After consultation with a panel of highly respected judges, we’re delighted to reveal the IFSEC Global influencers 2018 – security executives category. Waal De Waal has been chief operating officer at Bidvest Protea Coin since 2002. 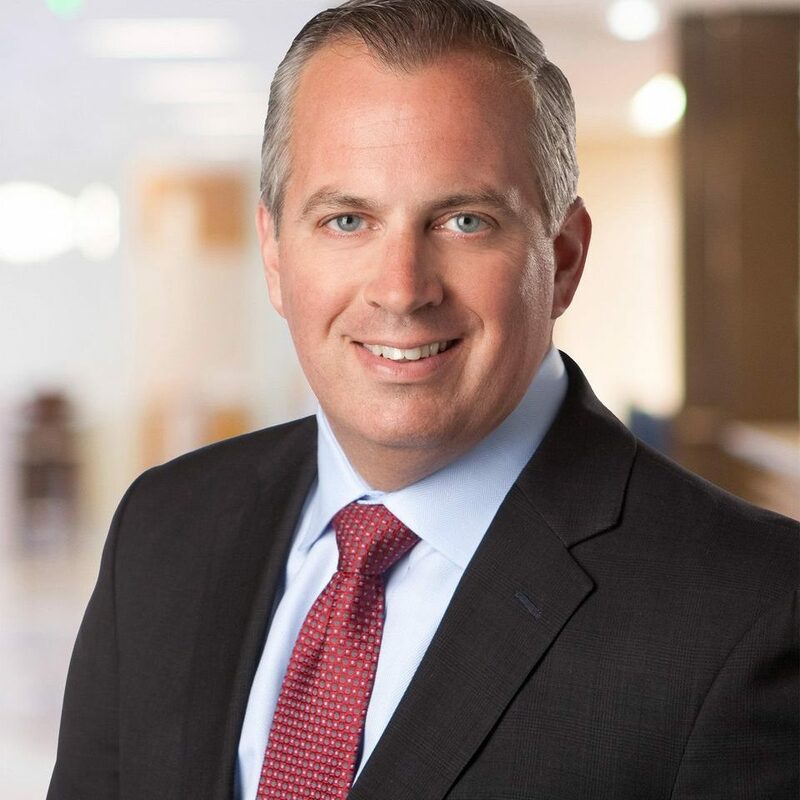 “Waal epitomizes a chief operating officer. He is passionate about the safety and security of communities in South Africa. He has on many occasions put his own life at risk by physically being on the ground to combat crime in dangerous areas like BTS towers for our mobile Telecoms clients and underground fighting crime for our mining industry customers. 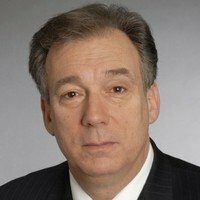 In his own words on LinkedIn: “During my 22 years of work in the security, business continuity and enterprise risk fields, I have developed a proven record of providing large multinational organizations with the strategies required to ensure the security & resiliency of employees, resources, and operations. “My background includes working closely with other departments while managing extremely talented teams. I have hands on experience in all aspects of what it takes to respond to complex crisis situations and rapidly minimize any damage while maximizing recovery time. In 2015 I was recognized by Security Magazine as one of the “Most Influential People in Corporate Security”. “My years of working on a global stage have allowed me to gain the experience, insight, networks and traits that can only come to one who has had the diverse opportunities like I have. I enjoy empowering teams to succeed through expert training, professional development, and team building. 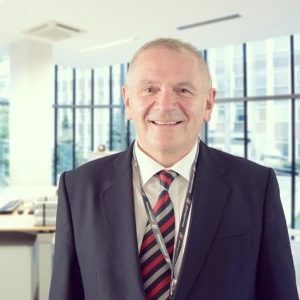 Allan Burnett QPM joined SecuriGroup as Operations Director in 2010 following a distinguished 30-year policing career, having held positions as Assistant Chief Constable and ACPOS Coordinator of Counter-terrorism. Allan has made notable contributions in counter-terrorism , shaping discussion surrounding the UK’s CONTEST strategy, and improving communication links between the police and the private sector. Allan is a regular commentator on national media, and was invited to inform the discussion immediately following recent terrorist attacks in London and Manchester. Through his work with organisations such as ‘Security Industry Safer Scotland – Counter Terrorism Group,’ Allan works with quality membership from the public and private sectors to enhance the capacity and capability of the security industry to counter terrorism. Allan collaborates with a variety of organisations. These range from Prince Charles’ Business in the Community and its Business Emergency Resilience Group, to his ongoing consultation work with Police Scotland in reviewing policies and procedures. Mr Burnett has authored articles in The Daily Record, City Security Magazine, and the London Universities Purchasing Consortium’s official magazine, Linked. What is clear from Allan’s career is that he has a desire to effect improvements in the safety of the public by supporting the development of the security industry […] He has been a calming voice of reason in calling for sensible responses, and reminding the public of the support available from the police and security industry. In this way, Allan is a valuable and positive representative of the sector, consistent in his opinion that private security services are a vital element in ensuring the general safety of the UK. Adam Bonaa is a security and safety expert with more than 20 years of experience in counter terror, defence and intelligence, designing and implementing Security and Safety solutions for private customers as well as the Government domestically and abroad. Mr Bonaa and his security businesses have won several awards including the Ghana Auto awards 2016 –(Best Car Tracking company of the year2016), Ghana Property Awards- 2016 ( Best Security Systems of the Year2016) ,Most outstanding Security Company in Ghana 2017 and Best Business Quality Awards 2017. He features on the security and safety alert segment on Radio and TV Gold every Wednesday as well as TV Africa on Mondays for a security and safety alert program. 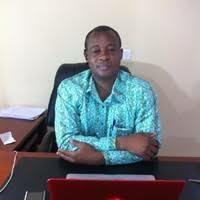 He also writes about security and safety for major newspapers in Ghana including the Daily Graphic, Times News paper, Chronicle, Business day, and Consumer Focus. He holds qualifications in Security and Safety, MBA from Coventry University and is pursuing a Doctorial Degree with NIBS and SWISS Business School. Adam is President of Lakeside Business Association. 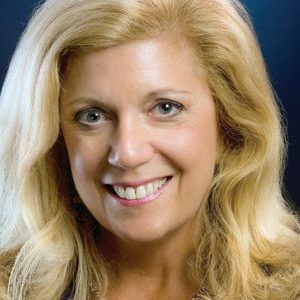 Bonnie Michelman has extensive leadership and security management experience in diverse industries. She currently is the Director of Police, Security and Outside Services at Massachusetts General Hospital and the Security Consultant for Partners Healthcare Inc., comprising 13 hospitals in Massachusetts. She oversees a licensed Police Department in this role among other departments. She was formerly a senior Executive at First Security Services Corporation (now Securitas) overseeing Security for 60 diverse operations, and Assistant Vice President for General Services/Operations at Newton Wellesley Hospital managing 16 operational and support departments. Bonnie served as President in 2001 of ASIS-International, a 40,000-person organization, Chairman of the Board in 2002, and Foundation President from 2003-2005. She is Past President (2008 and 1995) as well as Chairman of the Board of the International Association for Healthcare Security and Safety (IAHSS). Bonnie is currently on the Board of Directors for the International Security Management Association (ISMA) taking over as President of that organization in 2016. She has been an Instructor at Northeastern University, College of Criminal Justice in the Graduate and Undergraduate program since 1988. Bonnie is on the Regional Board of Directors for the Anti-Defamation League (ADL) and chairs their National Security Committee. Under Bonnie’s direction, Mass General won the Lindberg Bell Award for the nation’s finest healthcare security program in 1999 and 2007 among numerous other awards and recognitions. She was appointed in 2010 by DHS Secretary Janet Napolitano to the Homeland Security Advisory Council (HSAC) and chairs the DHS Faith Based Security Advisory Committee. She lectures and consults internationally on areas of healthcare security, workplace violence, hate crimes, active shooter training, domestic violence, risk assessment/management, disaster planning, leadership and communications. She has many publications in various journals on safety, security, leadership and management. She also does significant work in Executive Coaching, Management Engineering and Strategic Planning. Bonnie has an MBA, and MS in Criminal Justice and a BA in Government and Sociology. She holds her CPP and CHPA certifications. Experience includes work as an executive security professional in three international financial institutions, two major law firms and the U.S. and foreign governments. Serve as expert commentator for NBC, CNN and Fox News. Work for other global consulting firms, John Jay College of Criminal Justice and directly for international organizations. Evaluation of high-risk environments and development of security programs and mitigation systems and strategies in over 60 countries. Successful in developing and implementing enterprise-wide strategies, policies, standards and guidelines to address physical and information security, crisis management, fraud prevention, active shooter strategy, risk management and outsourcing security controls for business processes. Conduct and supervise due diligence, thread and social media analysis, fraud and employee wrongdoing investigations on state, national and global levels, reduce loss and maximize recovery. Expertise in physical security assessment and complex physical security system design, vault design, counterterrorism systems, executive protection, project management, global travel security, executive and staff training, investigations and international economic espionage; administration of multimillion dollar security department budgets and negotiation of substantial vendor contracts within the U.S. and abroad. Programs proven under extreme conditions. Lecture to business groups, security associations, law enforcement and governmental agencies. 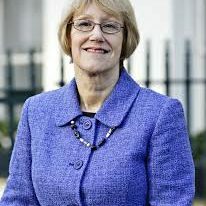 Baroness Ruth Henig, President of the Security Institute and former Chair of the Security Industry Authority, has spent a lifetime in public service, spanning academia, local government, police authorities and government bodies. In recognition for a successful 24 year career in local government, including 10 years chairing the Association of Police Authorities in England and Wales, Ruth was awarded a CBE for services to policing. She was also appointed as Deputy Lieutenant for Lancashire in 2002 and made a life peer in 2004 as Baroness Henig of Lancaster. Baroness Henig is now also a Deputy Speaker of the House of Lords, taking her place on the European Security Committee on Foreign Affairs and continuing to be an active member of the Independent Policing Commission. In a recent speech to the House of Lords, Ruth provided an argent defence of the crucial role that the Security Industry Authority has played in raising the standards of private security and how it needs further government support in order to modernise for the changing threat and the challenges faced by the modern security industry. In 2006, Ruth was appointed Chair of the Security Industry Authority in which role she served six years, overseeing the introduction of the SIA’s role of regulating the private security industry and processing licences for individual security officers. In her role as a peer, Ruth has continued to focus on matters relating to policing, local government, criminal justice and in particular the regulation of private security. Baroness Henig was delighted to announce in April 2016 that she had been chosen to succeed Lord Alex Carlile as President of the Security Institute. Volker is chairman of the German Association for Security in Industry and Commerce (ASW)) and board member of the German Association for Security in the Economy North Rhine-Westphalia (VSW-NW). Between 2011 to 2016 he was on the board of the Subcommittee on Economic Protection of the Federation of the German Industry (BDI). 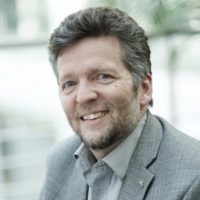 Influential in ASIS International organisation he is a member of the European Advisory Council, the international CSO Roundtable and chairman of the European Convergence Subcommittee. In 2010 and 2016 he attended high level courses for international security policies at the Federal College for Security Studies in Berlin, Germany’s highest-ranking inter-ministerial institution for advanced education and training in the field of security policy. He holds a business management degree from the University of Erlangen-Nuremberg and successfully achieved a Level 7 Certificate in Strategic Management and Leadership certified by the Chartered Management Institute (UK). He is Senior Vice President at Deutsche Telekom Headquarters. From 2008 until 2014 he was in charge of the realignment of Group Business Security at Deutsche Telekom AG. As the telecoms giant’s Chief Security Officer he dealt internationally with the group’s security and Business Continuity Management and I was therefore responsible for business security in 50 countries. “Volker Wagner is an outstanding European security leader with a global influence. 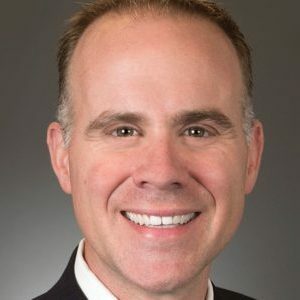 He has implemented and promoted converged Enterprise Security strategies at the highest levels in and to organisations across Europe and focussed the attention of ASIS International to develop their Enterprise Security Risk Management (ESRM) approach. “Volker has achieved this in many ways. As Chair of the ASIS European Convergence committee since 2013 and as a key leader for the ASIS International ESRM commission he campaigns for a consistent and efficient approach through many popular channels such as the ASIS European conference and leading German Security Conferences where he engages with the National Govt at the highest levels. Volker is responsible for BASF SE Group Security as Vice President Security since beginning 2018. This includes physical security, investigations, event and close protection. 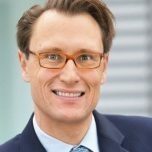 He has used his extensive understanding of Finance, Fraud and Marketing in his role as Senior Vice President Deutsche Telekom and Chairman of the Executive Staff Representation Committee and many years as Senior VP Group Business Security to develop relations between security professionals and the wider economy and global environment. Paul’s contributions and accolades in the security industry are numerous and well-known. Most notably, he served in leadership roles with the Overseas Security Advisory Council (OSAC), the American Society for Industrial Security (ASIS) International, and HOTREC, and has been an obvious subject matter expert choice for academia, professional organizations, and public-private partnerships. In his own words: “I’ve been on a three decade journey in a company that has taken me, literally, from the basement of a five-star hotel in Oslo, Norway where I started as a security guard, to our corporate headquarters in Brussels where I am now a Vice President with a global responsibility for the alignment and development of our safety and security formula, guidance and support programmes that are accessible to our 1500 hotels around the world. “Since meeting Paul 13 years ago, he has served as a constant source of knowledge, wisdom, and mentorship. Paul has the immense bandwidth to communicate authoritatively on virtually any aspect of security—from operational to strategic levels. He does so in a manner that is cogent, objective, and comprehensive. He generously imparts his knowledge upon others leaving them better equipped to do their job. “Despite his executive position and responsibilities, Paul maintains his operational skillset and never forgets where he came from. This grounding allows him to communicate and collaborate with all stakeholders, from the most junior of employees to senior executives. “Paul’s leadership style is like a time-tested recipe; one that blends the best ingredients—vision, tools, empowerment of subordinates, and a touch of humility—in the most precise amounts, consistently delivering results that never disappoint. He seeks not only to advance the field with vision and commitment, but also to enrich the profession through a legacy of mentorship. “I have often sought Paul’s guidance and referred many colleagues to him. In fact, I have never met another executive—in any field—who so freely offers their time to assist and mentor others. Due to its ability to resonate throughout the profession, I consider Paul’s mentoring to be his signature contribution.